Since the 1940s, American families have saved time in the kitchen with delicious meals made in their slow cooker. They just add the ingredients for the dish and let the appliance work its culinary magic. Cheaper cuts of meat will slowly roast to fork-tender perfection. Slow cookers are invaluable for making mouthwatering soups, stews and roasts. They can also make savory side dishes, warm drinks and even tempting desserts! Let me show you how to save time with easy slow cooker recipes. When you wake up or come home from work, your family will have a fabulous meal without the stress. What could be easier? 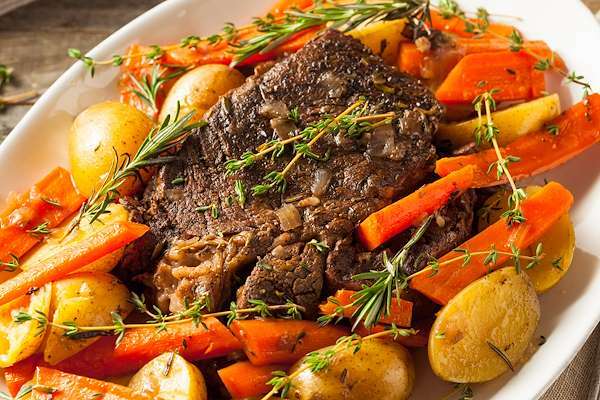 Remember enjoying a generous helping of Grandma’s pot roast for Sunday dinner? With this easy & delicious recipe, any day of the week can be Sunday. Succulent beef and tender veggies combine in a savory broth courtesy of your slow cooker. Grandma would love it! Put a little soul back into dinner time with this yummy slow cooker classic from the Low Country. The plump black-eyed peas & carrots are seasoned with juicy pork in a rich beef stock. Top it on a bed of steamed rice for a quick meal your whole family will love. 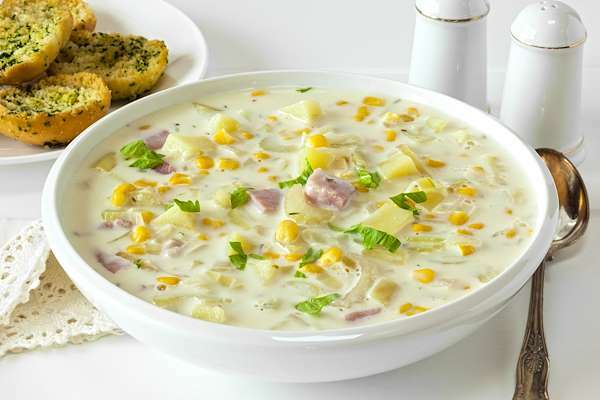 Warm your tummy & spirits with a hearty bowl of New England-style corn chowder! My easy slow cooker version is a medley of fresh corn & veggies, seasoned with ham and savory herbs & spices. The irresistibly creamy broth makes this classic chowder just what the doctor ordered for a cozy winter's meal. Sometimes, it is the simplest ingredients that can create the heartiest dishes, like my slow-cooker ham, beans & rice. This iconic soul food dish takes humble beans, savory veggies and flavorful herbs & spices to a new level. It would be perfect with a hot skillet of cornbread! If you enjoy tamales from your favorite Mexican restaurant, try my quick & easy recipe! Layer store-bought tamales, homemade chili con carne, cheddar, onions and crushed corn chips in your slow cooker. In about 4 hours, you will have delicious tamales for everyone. Use my easy recipe to prepare this delicious traditional Irish dish. 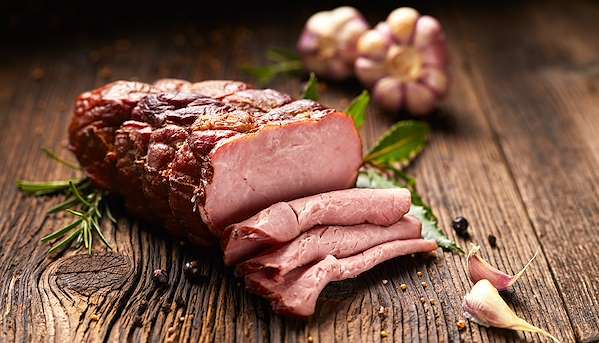 Season tender corned beef and cabbage quarters with savory herbs & pickling spices in your slow cooker. It fills the house with mouthwatering aroma and is perfect with a homemade loaf of Irish soda bread. Pork has sweet, mellow flavor notes that pair well with fruit. 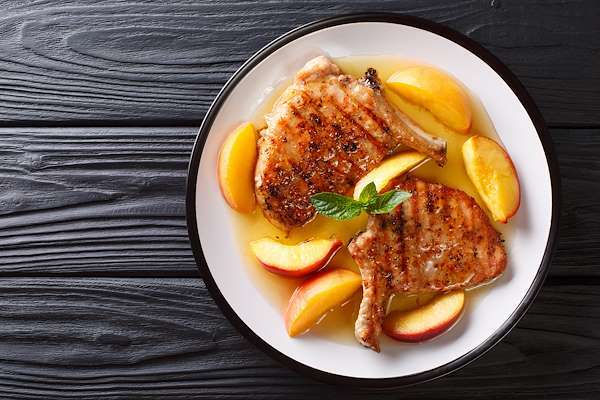 Go beyond apples and discover the culinary magic of blending fresh peaches with savory pork chops in my tasty slow cooker recipe! The rich flavors of peaches meld with zesty herbs & spices to create fork- tender meat with sensational taste. Beef stew ranks high on America's perennial list of popular soups & stew. 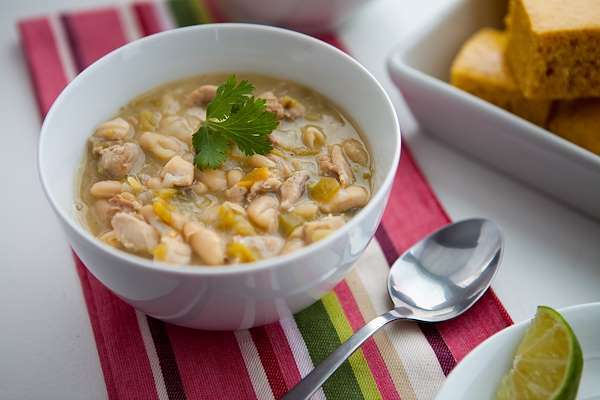 Serve your family a steaming bowl of this classic with a Low Country twist! My easy slow cooker recipe features tender beef chunks with black-eyed peas, mushrooms, and tomatoes in a savory broth that will stick to your ribs. Serve it with a buttery square of homemade cornbread. If you love stuffed peppers but don’t want the extra carbs, try my yummy low-carb version for the slow cooker. 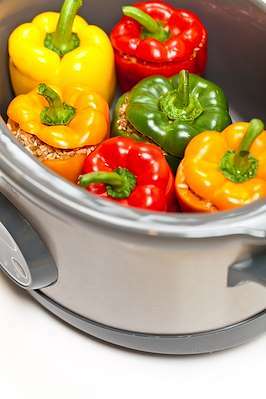 It features tender-crisp bell peppers stuffed with beef, pork and savory veggies. Minced cauliflower takes place of the usual rice with delicious results. Get the sweet & smoky flavors of roasted ham without turning on your oven! My tasty slow cooker recipe features a pre-cooked ham infused with aromatic spices and tangy mustard. Use any leftovers to make scrumptious ham sandwiches! 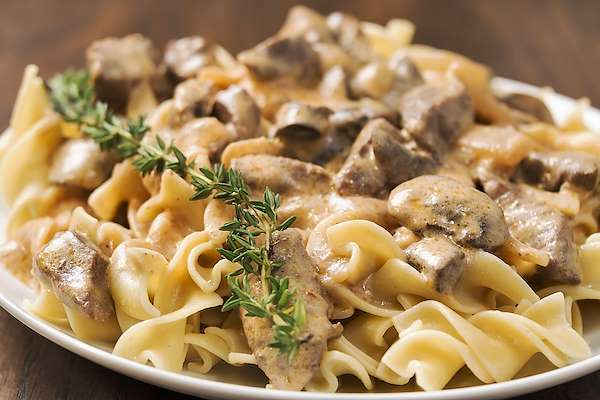 Beef stroganoff is a classic comfort food that is easy to make in a slow cooker. My tasty version features savory beef chunks, earthy mushrooms and tender egg noodles in a sour-cream infused broth. It is the perfect dish for a chilly winter’s evening. 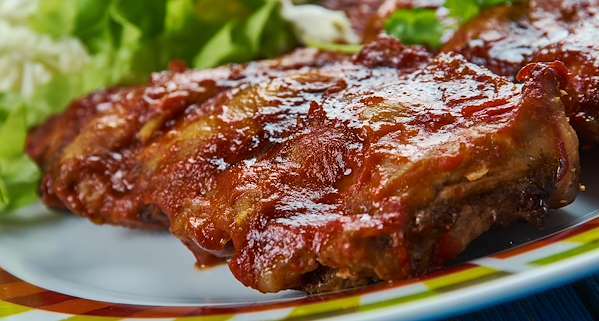 Enjoy the taste of summer any season with my scrumptious slow cooker barbecue ribs! Add pork ribs, onions, barbecue sauce and a touch of fresh lemon juice to your slow cooker and let them roast to tender perfection overnight. Serve with your favorite picnic side dishes. Have some leftover turkey from the holidays? 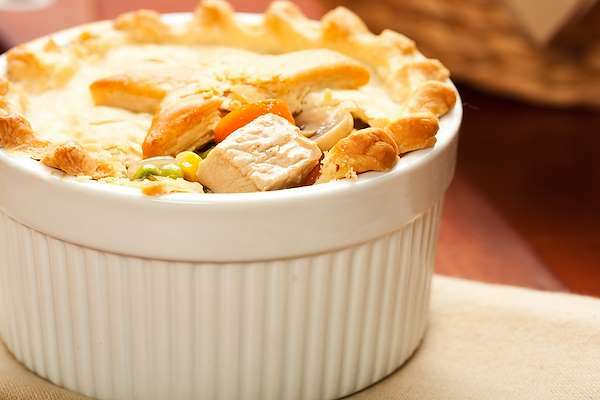 Turn it into a mouthwatering pot pie with my easy slow cooker recipe! Fill ramekins with the savory turkey mixture and top with miniature baked crusts made from a store-bought crust and a cookie cutter. 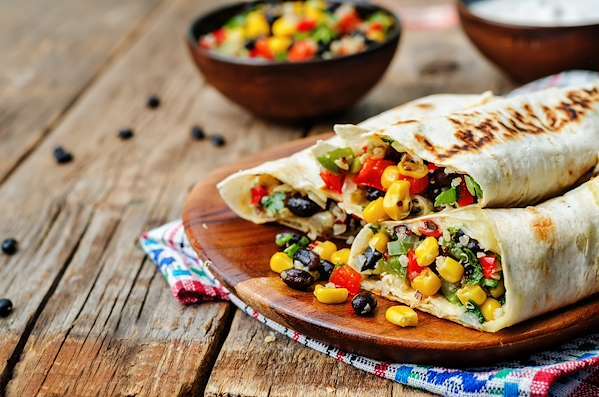 Busy families can still have delicious meals in the morning like my scrumptious breakfast burritos. Add the savory ingredients to your slow cooker the night before and fill the burritos in the morning. They are easy to make and can be enjoyed on the go! 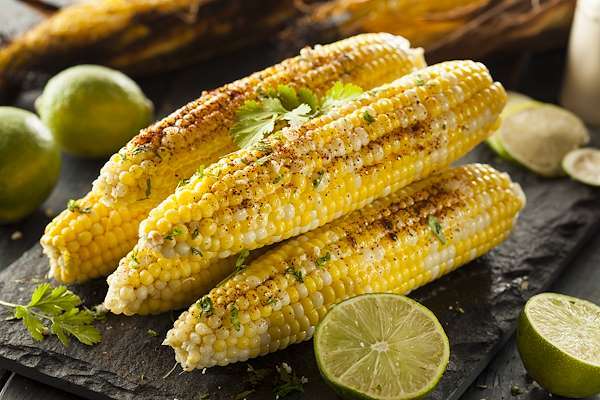 Corn on the cob is the perennial side dish of summer. My quick & easy recipe saves time by preparing several fresh ears in the slow cooker. Season them with butter and aromatic herbs & spices and they will be bursting with flavor in no time. What could be more comforting than a plate of tender roast chicken and vegetables? Try my tasty slow cooker recipe that cooks the chicken, onions, potatoes and savory herbs to a mouthwatering perfection. Turn any leftovers into a delicious pot of soup! If you have never heard of baking a cake in your slow cooker, you are in for a treat! This yummy dessert recipe combines a chocolate cake mix, chocolate pudding, chocolate chips and a few other staples into a super-moist cake without using your oven. Let your slow cooker help you make a healthy & delicious breakfast for your family—even on your busiest mornings. 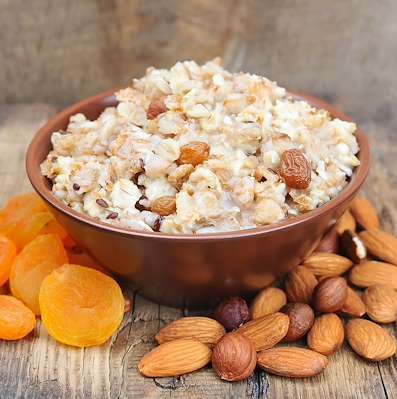 Add oats, dried fruit, crunchy almonds and milk to your slow cooker the night before and they will be warm and tasty the next morning. Many soups, like this irresistible slow cooker recipe, are naturally healthy & low in carbs. Imagine a comforting bowl of tender cauliflower, onions, celery and melted cheese in a creamy broth! Enjoy it as an appetizer or a main course for a simple & satisfying meal. For a quick & delicious meal or potluck dish, nothing could be better than a slow cooker full of my yummy chicken chili! It has tender chicken chunks, Great Northern beans, zesty diced tomatoes and plenty of aromatic herbs & spices that will stick to your ribs. Are you looking for a unique chicken recipe? Try my version of orange chicken & sweet potatoes for your slow cooker! 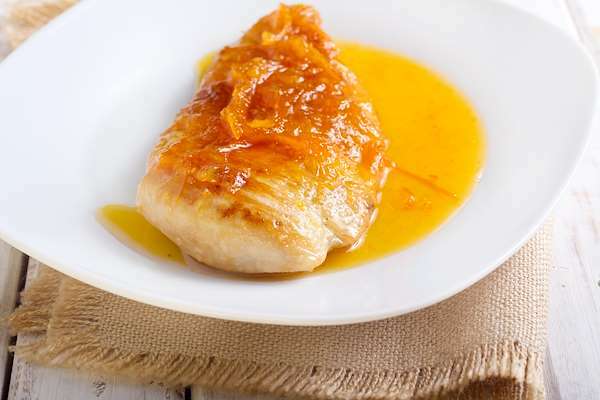 The orange marmalade pairs well with savory chicken and warm sweet potato flavors. The dish is easy to make and tempting to even your pickiest eaters. Slow cookers are ideal for preparing fork-tender beef recipes, like my easy mushroom & beef. 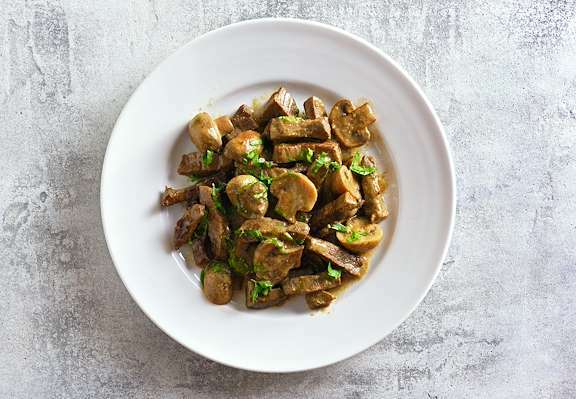 It features juicy beef chunks and plump button mushrooms in a savory apple-infused sauce. It makes a comforting dish that is perfect when you want an easy & satisfying meal. When your family tastes this delicious slow cooker mac & cheese, they will forget about the store-bought version with the neon orange powder. The recipe features tender macaroni drowned in a creamy sauce of real cheddar & Monterey Jack cheeses. It is destined to be a family favorite! 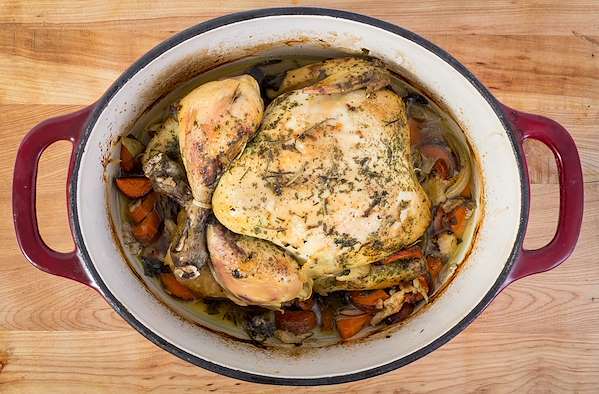 Here is a classic French-inspired dish that was traditionally slow-cooked for optimal flavor. My version is loaded with tasty bacon, pork loin roast, and smoked sausage. 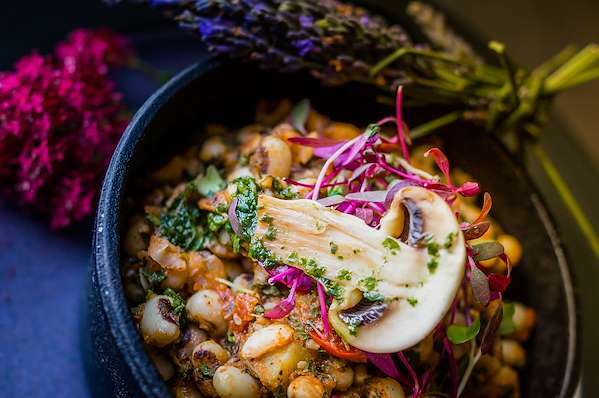 The pork is paired with Great Northern beans, tomatoes and aromatic herbs & spices. It is a hearty slow cooker dish your family will love. 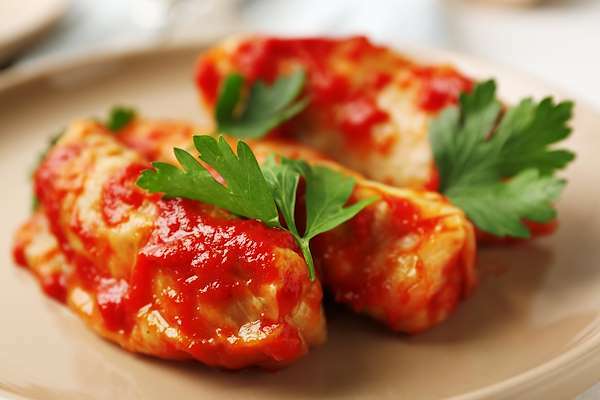 Whether you enjoy them for New Year’s or any meal, cabbage rolls are a traditional favorite. Try my slow cooker version with tender cabbage leaves stuffed with a savory meat & rice filling and topped with a flavorful tomato sauce. Tantalize your taste buds with this unique barbecue chicken recipe that infuses the tartness of cranberries with the sweet smokiness of barbecue sauce. Add these to your slow cooker with boneless chicken thighs, onions and spices. Its phenomenal flavor pairs well with any of your favorite side dishes. 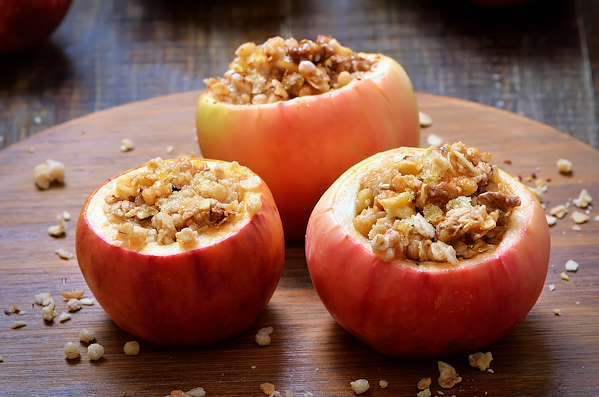 Since apples are so plentiful in the autumn season, take advantage of the harvest with this scrumptious stuffed apple recipe! Stuff the apples with raisins, pecans, pure maple syrup, brown sugar & warm spices. Let your slow cooker prepare them for a tempting dessert or snack. 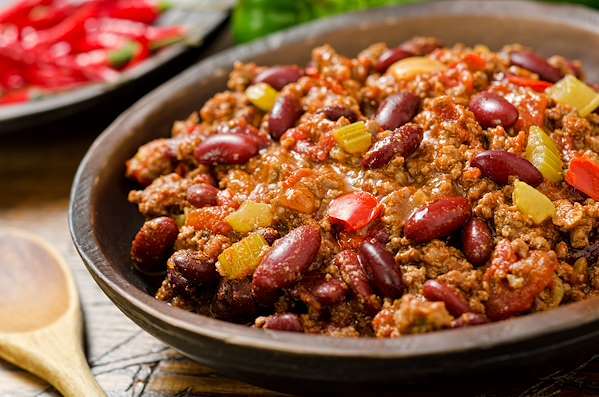 What could warm your spirits and insides more than a zesty bowl of chili? My easy chili recipe is loaded with sweet & spice sausage and tender beans in a flavorful tomato base. After you saute the ingredients and add the aromatic herbs & spices, your slow cooker will do the rest! 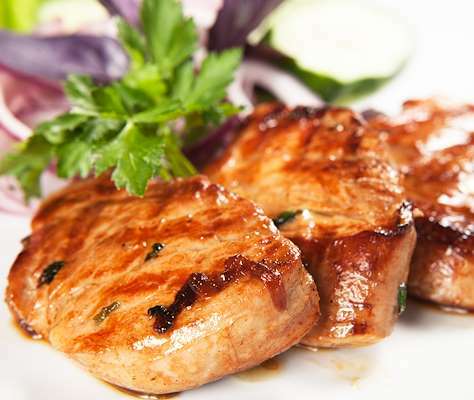 For a unique twist on pork, try my scrumptious recipe that fuses sweet flavors of Hawaii with aromatic herbs & spices of Asian cuisine. Sear the roast in a pan and throw everything together in your slow cooker. Arrange the roast on a bed of steamed rice with plenty of thickened pan sauce.